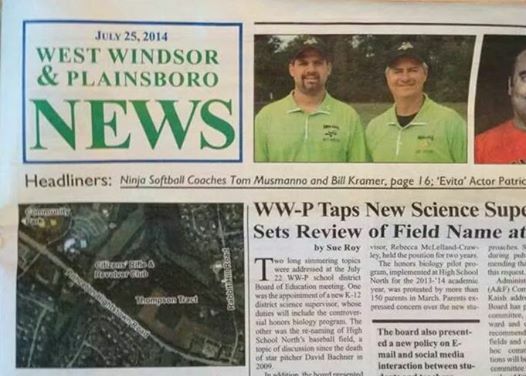 We're very excited that the West Windsor & Plainsboro News carried a feature article on the Ninjas in their edition published on July 25, 2014. Thanks to the author, Hye-Jin Kim, an alumni of West Windsor Little League, West Windsor Wildcats, and WWP South softball programs and current Middlebury student and softball player. Go Ninjas!